A day after Karan Johar was trolled on social media for allegedly “insulting” the culture and the traditional headgears of the people of the North East, the filmmaker apologised on Wednesday for his “purely unintentional” remarks. A report published in the Hindustan Times stated that the director uploaded a video clip on Instagram on November 10 last, shot on the sets of reality talent show India’s Got Talent, where he, along with Kirron Kher and Malaika Arora, serve as jury. 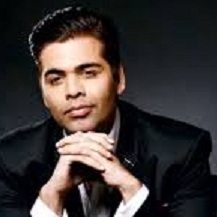 The report further stated that after being severely criticised for his comments, Johar replied to an Assamese journalist, saying he would like to apologise in case he had hurt any sentiments. “You are absolutely right and I would like to apologise if I have hurt any sentiments. It was purely unintentional and came from a place of no knowledge which is absolutely no excuse. I am extremely sensitive to the different cultures of our land and I am very sorry,” he wrote on Twitter.